Ms. Badoula Oblongata here Partners with infamous brand Givenchy!! 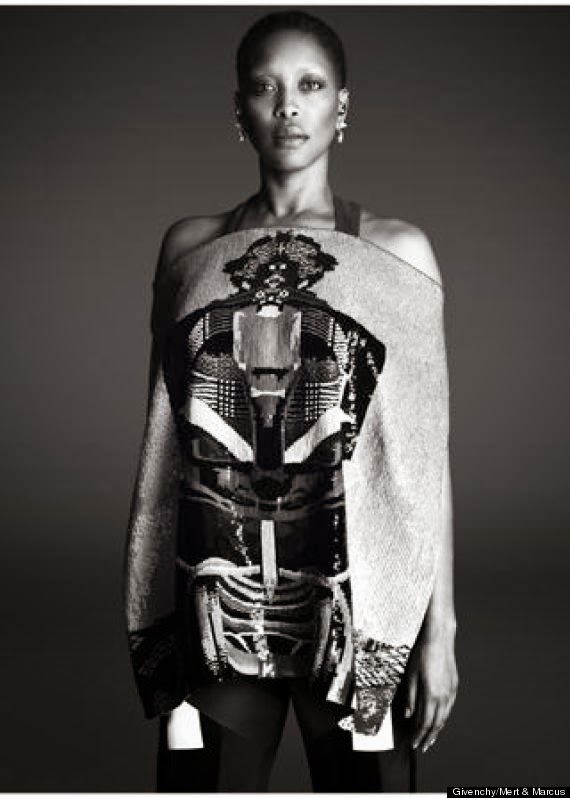 This week, neo-soul singer Erykah Badu was named the new face of Givenchy for their Spring/Summer '14 campaign. Known for pushing the envelope, it's no surprise that creative director Ricardo Tisci would chose such a whimsical being. Personally, I consider Ms. Badu to be a very influential figure in my life. She is my Earth Mother and I am her love child lol. I'm super excited to see what this partnership will bring in the upcoming year. Beyonce Announces her Fifth Studio Album and Slays!! Yes, you heard right. Last night, musical icon and ruler of the world, Beyonce announced that her self-titled solo album was available for purchase on iTunes. While this would cause no than the usual buzz from the Beehive, the album was not actually known by the masses until last night. Queen B just sent out a few sentences on Instagram and literally put iTunes into overdrive. The album itself is just as visually stunning as it sounds. It's a visual album, containing 14 songs and 17 videos. She definitely has another hit on her hands (as if she already didn't know). Style File: What to wear to a Holiday party? Going out with the girls is definitely a reason to add some sparkle to the night. Try pairing sequin shorts with a fur vest for a play on texture. Be sure to keep the color palette neutral, no one want to look like a bear going to the disco. The infamous office party. You want to look cute yet still conservative because after all, you have to see these people at work the next day. Instead of the Little Black Dress, let's go with the Little Blue Jumper. It's chic and when paired with the right accessories, can get you through any office party. Be the blue eye in a sea of black with this look. ...and maybe a gift or two for you! If you missed the latest outfit posts for the month of December, click here to check them out. loved this post and i love beyonces new album... although im not a big fan but this one seems really intimate and real. i love the outfits you chose!